Kenton Cool, the man who has climbed Everest 11 times | The Gentleman's Journal | The latest in style and grooming, food and drink, business, lifestyle, culture, sports, restaurants, nightlife, travel and power. 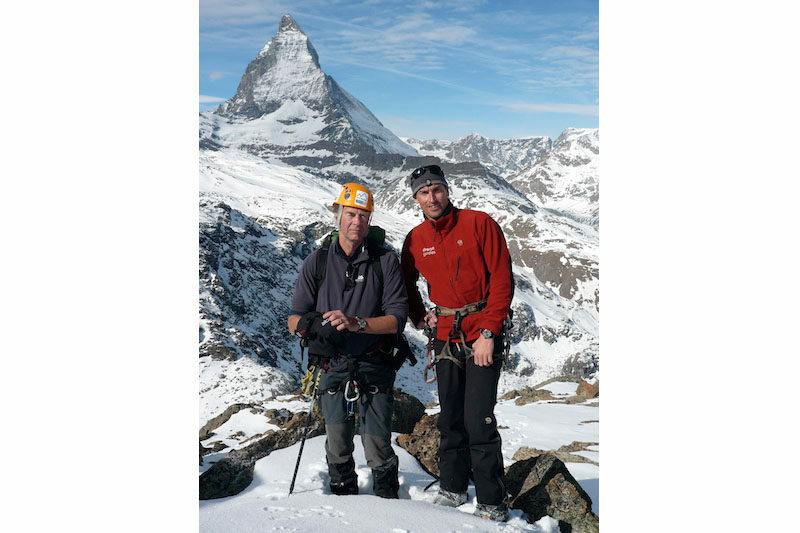 Kenton Cool is talking about his love for Mount Everest – a mountain he has scaled an incredible 11 times – as he leaves this week to guide another client up the gruelling south face of the 8,848-metre peak. This trip has far more significance than any of the previous. Following the catastrophic earthquake in Nepal in 2015, which claimed the lives of over 8,000 people and reduced much of the country to rubble, the mountain has been closed to alpinists while the nation rebuilds itself. 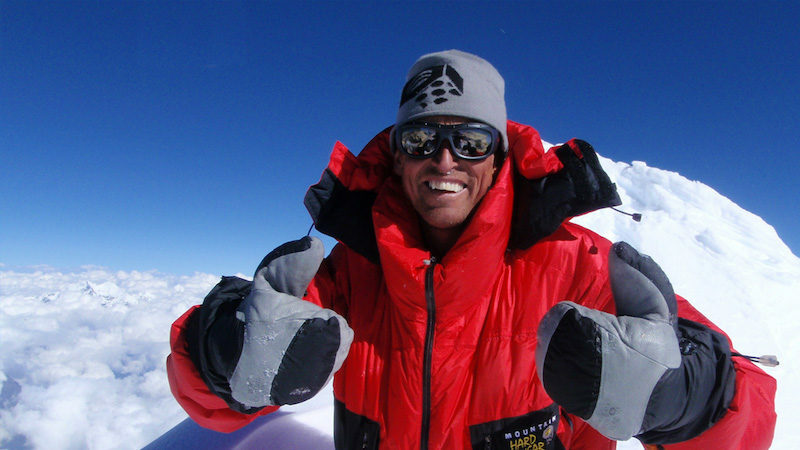 Kenton lost close comrades, Sherpas he had climbed with and established firm bonds with – the kind of bonds that form when you depend on the trust and loyalty of others for survival at such crippling altitudes. In any other given year, he would have been there himself – it just so happened that he was attempting to get a unique challenge off the ground, to climb the world’s three highest peaks in three months, and as a result had decided not to guide on Everest in 2015. He will be amongst the first climbers to return to the sacred heights this spring. 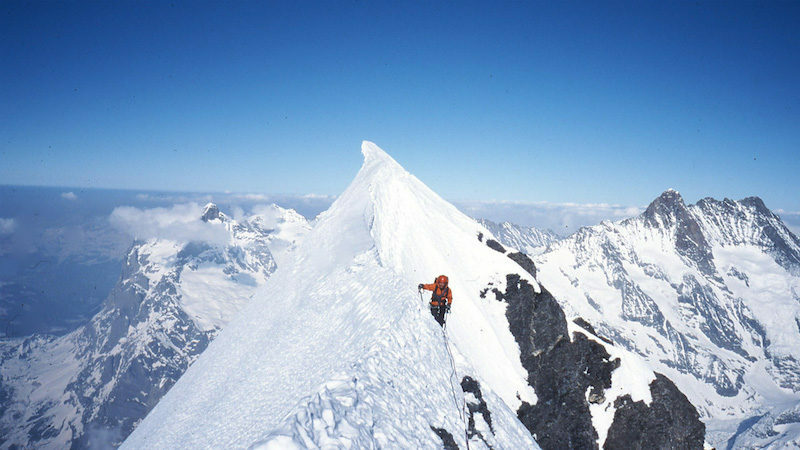 To be going for a 12th summit of the highest mountain in the world is a remarkable feat in itself. But the fact that Kenton Cool was told he would never walk again unaided, following a sickening fall while rock climbing aged 22, makes this accomplishment somewhat supernatural. 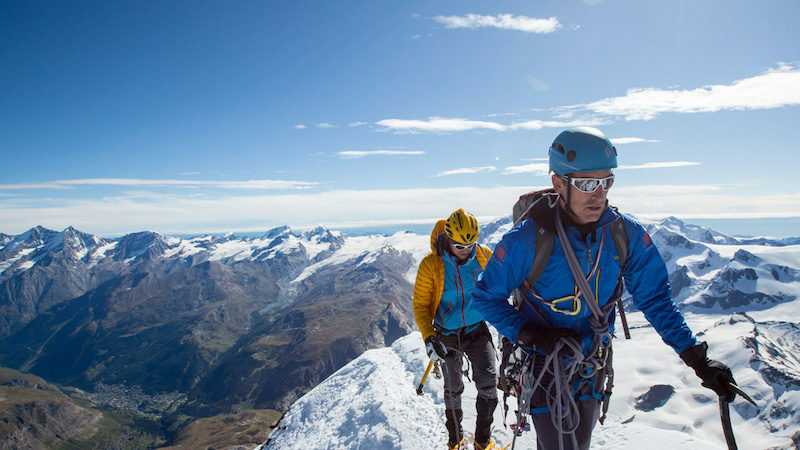 Having turned the last pages of his newly released autobiography, One Man’s Everest, which details a life of pain and passion, triumph and tragedy, determination and utter grit, I needed to know more. And as I sit with him in a Soho bar, days before his flight to the Himalayas, for what will inevitably be an emotional trip given the agony of 2015, I am equally as captivated. For most of us, Everest is a mere pipedream – we will never know what it’s like to stand on top of the world; we’ll never experience such an insane pillaging of our senses as our bodies and brains are deprived of oxygen and blood; and we’ll never feel the overwhelming surge of success that accompanies such a titanic achievement. The idea of painful happiness is hard to comprehend – mountaineers often highlight their incapacity to sum up the immense hold the mountains have over them; an admiration coupled with anxiety of the unknown, that you are always playing second fiddle to the powerful forces of nature, however experienced you may be. In the Himalayas, you are an ant amongst giants. From there he progressed to the mountains, his spell at Leeds University (where he was part of the climbing club) facilitating his desire to throw himself into the outdoors with inexorable energy. He was, and still is, “very competitive, almost to the point of being disruptive”. 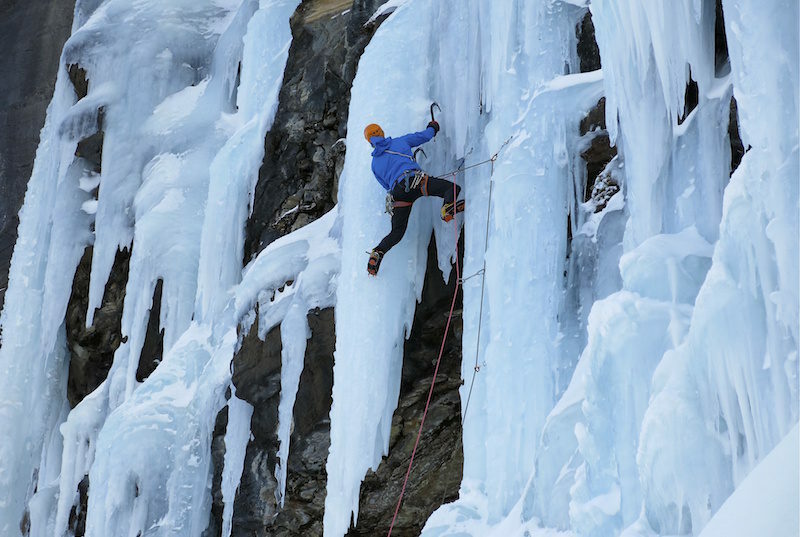 His crashing-down-to-Earth moment came quite literally in 1996, when a reckless flash of overconfidence led to a fall that threatened to destroy his ability to walk, let alone climb again. It came on a route called Major Headstress in Llanberis, North Wales. Kenton shattered both his heels, as if china plates, and with it his dream of climbing in Pakistan that year. The extent of the injury wasn’t fully realised until he was X-rayed at Bangor hospital. Doctors told him he would never climb again. He underwent three operations and spent the following year in a wheelchair and on crutches, enduring months of vigorous rehab. Kenton had to relearn how to use his feet. The cruel proposition of not being able to climb another mountain, to not feel that sense of freedom ever again, however, proved to be the finest spur to aid his recovery – his ambition was to get back into hiking boots and head to the mountains, however hard he had to work, however much time he had to sacrifice. It’s remarkably cliché to say that if you want something enough, you can get there through perseverance, but Kenton is testament to this. Although the pain of his injury still rings through his body today – it is not uncommon for him to crawl on his hands and knees after a day’s hiking, and he carries a spare pair of comfy trainers to change into after a day of pounding the London pavements – he has gone on to earn a glittering reputation as one of the most accomplished mountaineers of his generation. 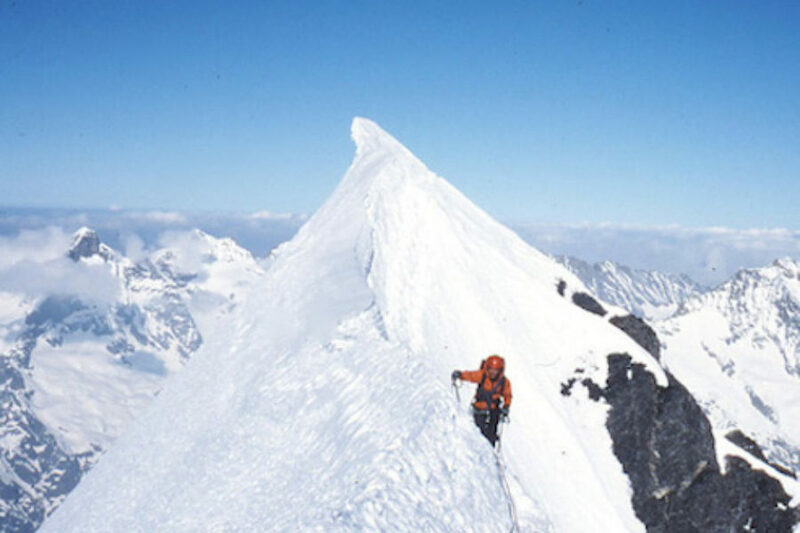 He has been nominated for the Piolet d’Or (the Oscars for mountaineers); climbed Everest twice in one week; guided Sir Ranulph Fiennes up the epic route in 2009; and his clients have a summit success rate of 80%. It is an astonishing résumé, irrespective of the fact that he was never meant to climb again. 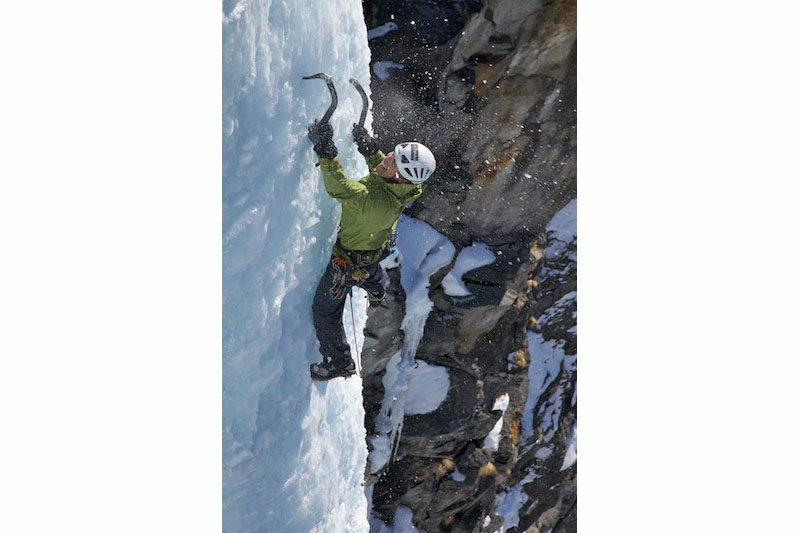 He only partakes in one-on-one guiding; changing his practice in 2010 after one of his five-strong group, 22-year-old Bonita Norris, fell and had to be rescued from 8,600 metres. She suffered no long-term injury, but it was too close for comfort for Kenton. 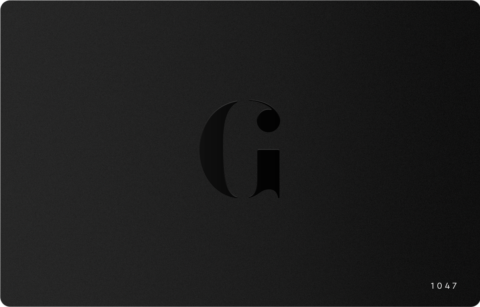 Now, his one chosen client is heavily vetted to ensure they are doing the climb for the right reasons, and to assess whether they are capable of such a demanding feat. 2014 and 2015 were tragic reminders that there is always an element of danger in the mountains that is far beyond the control of human influence. 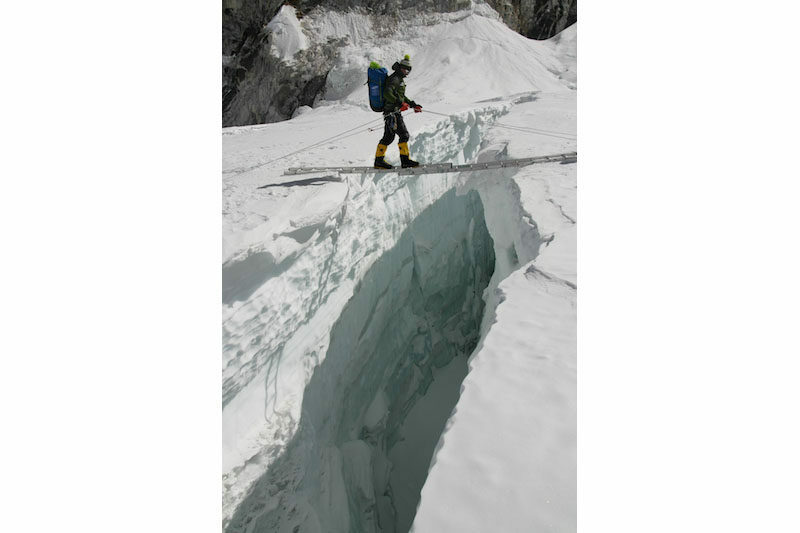 An icefall on the western face in 2014 claimed 16 lives, and the devastating earthquake in 2015 set off an avalanche that obliterated Base Camp, taking 18 lives with it. 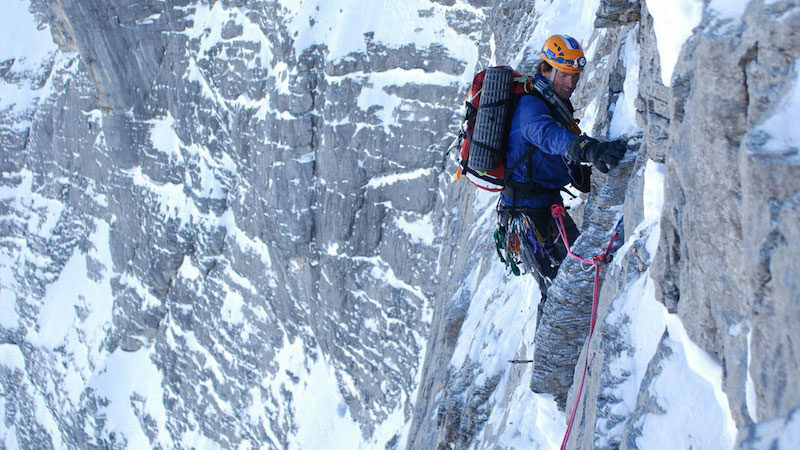 Over the years of exploring endless massifs, Kenton has lost a number of close friends – “I’ve been to more funerals than weddings” – in pursuit of the ultimate accomplishment in climbing. In 2013, Taiwanese climber Xiaoshi Li died in his arms after suffering a cerebral and pulmonary oedema – Kenton was called in to help as he was the closest guide to the incident. Although drained of energy, having summited Everest earlier that day, he set an alarm every half an hour through the night to check on Li. Sadly it was in vain – in the early hours of the morning, he wasn’t able to find a pulse. Given that Kenton has a wife (Jazz, they married in 2008) and two young children (Saffron and Willoughby), is it all worth it? What is it about the mountains that forces people to risk everything they have and everyone they love? His motivation is resolute. Kenton (42) is in the gym at 5:30am most mornings putting his body through the mill, his next epic challenge always on the horizon – his next aspiration is to climb Everest without oxygen, as he believes he owes it to her to attempt her summit unassisted. Aside from his family, climbing is Kenton’s reason for being alive – it is a fixation far greater than most of us will ever know. “Time is the most precious commodity we have, and the mountains allow you to escape all the crap. All of a sudden your tax returns and inane banking issues, the peripheries that we get hooked up on in life, get stripped back. You end up with a very clean, uncomplicated way of life – I have no doubt that is the way that we are supposed to live. I can be physically exhausted from the mountain, but mentally I’m never more alive. Buy Kenton’s autobiography, One Man’s Everest, here. Follow his adventures at kentoncool.com. Or Follow him on Instagram as he live streams his climb.